The image above is the Barreleye, one of the most unusual fish in the ocean. 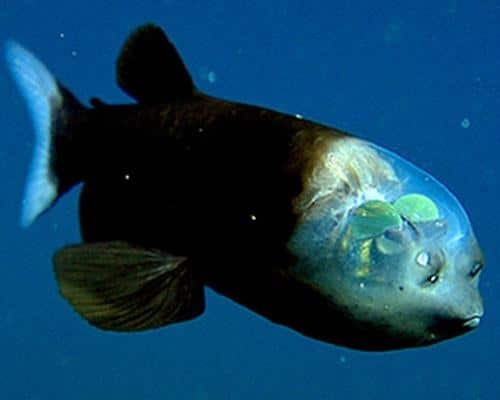 The Barreleye has a completely transparent head (so that it’s eyes, located inside the head, can detect available prey). More unusual transparent creatures in the Random Fun section below.